Although the Underground Railroad network was secretive and no blueprint for it survives, it is generally agreed that a southern terminus was centered around the New Garden community in Guilford County, North Carolina. c. 1600s -- Woods part of the lands of the Saura and Keyawee peoples. Mid-1700s -- Initial settlements of European Americans in the area that is now western Guilford County. Slavery already present in the state so a part of the local economy from this period forward until abolition. 1752 – First meeting of New Garden Friends held at home of Thomas Beals, who held a concern against slavery and later moved west as one of the early Quaker settlers of Ohio. 1754 - New Jersey Quaker John Woolman’s Some considerations on the keeping of Negroes published and accessible to North Carolina Quakers. Woolman traveled South to meet with Quakers and also with non-Quaker slave owners to persuade them towards change. 1758 – London Yearly Meeting admonishes Friends to stay away from slavery. A growing number of Quaker yearly meetings published papers discouraging the buying and selling of slaves and condemning the institution overall as Quakers in both Britain and America spoke in favor of gradual emancipation. 1770 – New Garden Friends Meeting urges Friends not be involved in slavery and issues stronger statements than most other Quaker meetings in the state at the time. 1776 -- Slave ownership becomes a disownable offense for members of North Carolina Yearly Meeting. North Carolina Quakers are no slower than Quakers elsewhere to speak out against slavery and pursue ways to legally untangle themselves and bring an end to the practice of slavery. 1780s and 1790s -- North Carolina Yearly Meeting routinely sends petitions to the North Carolina Legislature stressing the immorality of slavery and the importance of abolition. 1808 – North Carolina Yearly Meeting becomes a large owner of enslaved people due to the desire to discourage individuals to profit from slavery and increasingly restrictive manumission laws. The Yearly Meeting served as trustees, legally owning several hundred people -- supporting them in local apprenticeships and assisting them with relocation to freedom further north and abroad over the next half century. 1814 – North Carolina Manumission Society organizes at New Garden Friends Meeting. Levi Coffin (1798-1877) and Vestal Coffin (1792-1826) among the founding members of this interdenominational Quaker-dominated organization committed to gradual emancipation and legal reforms to bring an end to slavery. 1817 -- With support from local Quakers Vestal Coffin, George Swaim and Enoch Macy, Benjamin Benson’s case to reclaim his freedom after an unlawful kidnapping was initiated in Guilford County Supreme Court. The case was resolved in Benson’s favor in 1820. 1818 – North Carolina Manumission Society votes to amalgamate with new American Colonization Society, for “repatriation” of free blacks to Africa, causing some members to withdraw and focus on options with more direct support from and by local African Americans, such as supporting those wishing to move northward within the U.S. and those wishing to remain South as long as possible due to family ties. 1819 -- North Carolina and Virginia enact changes to facilitate interstate slave trade. 1819 – John Dimery is kidnapped by his former master’s heirs and escapes to the woods to gain assistance from Vestal Coffin. According to Vestal’s son, Addison, this was an early documented example of the Underground Railroad operating in Guilford County, as Dimery soon landed in Wayne County, Indiana. 1819-1852 – Active years of Underground Railroad activity in Guilford County. 1820s – The New Garden community, and Vestal and Levi Coffin in particular, become known for friendliness to enslaved fugitives. 1821 – Vestal and Levi Coffin establish a school, using the Little Brick Schoolhouse at New Garden Meeting, to provide reading instruction to local enslaved African Americans on Sunday afternoons. 1824 – North Carolina Yearly Meeting increasingly withdraws institutionally from anti-slavery action and direct work with African Americans as conditions become increasingly prohibitive. Individual efforts move underground with growing tensions and entrenchment of the slave economy. 1826 – Vestal Coffin dies, leaving his widow Althea and young son Addison, to carry on his work. Levi and Catherine Coffin relocate to Newport (later Fountain City) in Wayne County, Indiana where they continue their anti-slavery work by assisting people to freedom and promoting the free produce movement. 1826 – Regular “convoys” sent northwest as African Americans legally owned by North Carolina Yearly Meeting and others with legal papers to travel are accompanied by Quakers to seek freedom as a part of the “overground railroad.” Wagons were stopped and searched, as slaveholders knew trails used for this purpose along the route from New Garden, North Carolina northwest to Ohio and Indiana. 1830 – North Carolina emancipation law requires posting of $1000 bond for each slave to be freed to require good behavior and insurance that the freed slave would leave the state within 90 days, making it increasingly difficult for Quakers and others supporting emancipation to legally assist people to freedom. 1831 – Nat Turner insurrection in Southampton County, Virginia, raising fears among many whites and encouraging increasingly restrictive legislation against African Americans -- enslaved and free. 1831 – North Carolina law prohibits teaching the enslaved to read or write. 1833 – Rowland Greene, a Rhode Island Quaker minister who held a strong concern about the evil of slavery and the moral damage done to all living in the midst of it, visits North Carolina and advises Friends in the founding of New Garden Boarding School. 1835 – Hamilton’s Saul, an enslaved African American known to have assisted in setting up escapes for others with Coffin almost twenty years earlier uses the Underground Railroad to gain his own freedom. 1835 – Revision of the North Carolina State Constitution disenfranchises free blacks. North Carolina also formally requests other states to suppress abolition societies and anti-slavery literature. 1837 – New Garden Boarding School, chartered in 1834, opens. Faculty include Rhode Island abolitionist activist Harriet Peck. She documents assisting in a Sabbath school for African Americans -- evidence that the work done by the Coffins in the 1820s continued, but not publicly due to increased illegality and danger. Peck also discusses the Free Produce Movement with her students, noting that the boarding school leadership was supportive of the movement as well, and distributes The Liberator and other anti-slavery literature in the surrounding community. 1845 -- Vestal Coffin’s son, Addison, moves to Indiana. More research is needed to document who remained in North Carolina as active conductors in these later years of activity, especially after the departure of the Coffins and Hamilton’s Saul. 1847 -- Virginia Yearly Meeting of Friends is discontinued, leaving North Carolina Yearly Meeting as the only Quaker organization entirely located in what would later become the Confederate States. 1850 - Fugitive Slave Act of 1850 requires that all escaped slaves were, upon capture, to be returned to their masters and that officials and citizens of free states had to cooperate in this law. Primary sources vary in terms of availability and trustworthiness. Some of the richest sources, such as the Peck letters, do not provide any details on Underground Railroad activities but do lend insights into other anti-slavery activities, people, and institutions who played a role. Additional detective work brings other elements to life, such as slave deeds connected to Vestal Coffin, court records relating to individual Quakers who were investigated for educating African Americans, and other civil records that line up to verify tantalizing references to provide support for distant oral traditions. The four most directly utilized for this particular application are listed below. Addison Coffin and Levi Coffin both were directly involved with the Underground Railroad at the application location and wrote their reminiscences decades later. The Harriet Peck letters were written by her in 1837-1838 while she was living at New Garden (now Guilford College). Browning, Mary A., ed. “Harriet Peck at New Garden Boarding School, and her North Carolina Letters, 1837-1839.” The Southern Friend: Journal of the North Carolina Friends Historical Society, XXVI (2004): 3-55. Coffin, Addison. Early Settlements of Friends in North Carolina: Traditions and Reminiscences, 1894 (unpublished typescript, 1952). Friends Historical Collection, Guilford College, Greensboro, NC. Also published as “Early Settlements of Friends in North Carolina: Traditions and Reminiscences.” The Southern Friend: The Journal of the North Carolina Friends Historical Society (1983). Coffin, Addison. Life & Travels of Addison Coffin: Written by Himself. Cleveland, OH: William G. Hubbard, 1897. Coffin, Levi. Reminiscences of Levi Coffin, The Reputed President of the Underground Railroad; Being A Brief History of the Labors of a Lifetime in Behalf of the Slave, With the Stories of Numerous Fugitives, Who Gained their Freedom through his Instrumentality, and many other Incidents. Cincinnati: Robert Clarke & Co., 1880. Greensborough Patriot. Published by Swaim and Sherwood, Greensboro, NC. 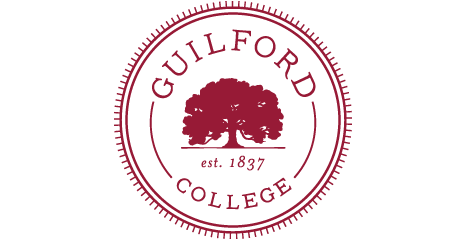 Site specific information was gathered directly from prior research specific to Guilford College’s history and landscape. Rogers, Abbie. “The Guilford College Woods.” Greensboro, NC: Friends Historical Collection brochure. Originally printed 2009 with revised edition 2014.  National Register of Historic Places (NRHP) Application for Guilford College, 1990. McCracken, R.J. and R.B. Daniels and W.E. Fulcher, “Undisturbed Soils, Landscapes, and Vegetation in a North Carolina Piedmont Virgin Forest.” Soil Sci. Soc. Am. J. 53: 1989, 1146. Numerous local newspaper stories and magazine stories have been published over the years. A selected list is below, including the earliest one on record from the local newspaper which provides some strong anecdotal information acquired directly from from oral tradition sources in the 1930s. Hoskins, Katherine. “How the Underground Railway Originated: This famous system of liberating slaves and conveying them safely to the free West was inaugurated at old New Garden by Vestal Coffin and carried on by other members of the Coffin family - its work completed, the organization disbanded at conclusion of Civil War.” Greensboro, NC: Daily News. Aug. 7, 1932, 6B. Perlmutt, David. “On a Mission: Getting City’s Black History on Record.” Charlotte, NC: Charlotte Observer. Oct. 23, 1995, C1. Schlosser, Jim. “City honors escape route from slavery.” Greensboro, NC: News & Record. Sept. 26, 1994, A1-2. ​Several secondary sources are especially well researched and written with a focus that includes extensive discussion of the New Garden Quaker community, the Coffin family, and the woods which are now part of Guilford College. Beal, M. Gertrude. “The Underground Railroad in Guilford County.” The Southern Friend: Journal of the North Carolina Friends Historical Society, II:1 (1980): 18-29. Bordewich, Fergus. Bound for Canaan: The Underground Railroad and the War for the Soul of America. New York: HarperCollins Publishers Inc., 2005. Hilty, Hiram. By Land and By Sea: Quakers Confront Slavery and Its Aftermath in North Carolina. Greensboro, NC: Hiram H. Hilty, 1993. Sieber, H. A. Drinking Gourds of Guilford: A Story of Change, 1771-2005. Greensboro, NC: Tudor Publisher, 2005. Additional secondary sources are useful for grounding this in the wider Quaker abolitionist context, though not focusing specifically upon the Underground Railroad or North Carolina Friends. Carey, Brycchan and Geoffrey Plank, ed. Quakers & Abolition. Urbana, Chicago and Springfield, IL: Board of Trustees, University of Illinois, 2014. Jordan, Ryan. Slavery and the Meetinghouse: The Quakers and the Abolitionist Dilemma, 1820-1865. Bloomington: Indiana University, 2007. Guilford College has been designated as both a Research Facility (specifically Hege Library's Friends Historical Collection) and a Site (specifically the Woods, earlier known as New Garden Woods, at the back of campus, by the lake). The Friends Center at Guilford College is excited to share with Friends Meetings and churches this sample lesson about the Underground Railroad we have developed for religious education. It was adapted from a portion of the public school curriculum we had written for us in 2017, thanks to a grant, and believe it can be adapted to any age. The family foundation which provided funding for us to write the curriculum felt it was important for children in Guilford County, NC to learn about the local Underground Railroad activities that took place, and we agreed. It also seems very appropriate and timely to offer this information widely, to inspire us all to learn more about our shared history and life stories and to seek ways of creating justice and places of refuge in our own time.